Suppose I am running name based virtual host (www.example.com) under apache, and the default DocumentRoot is /srv/www/htdocs. 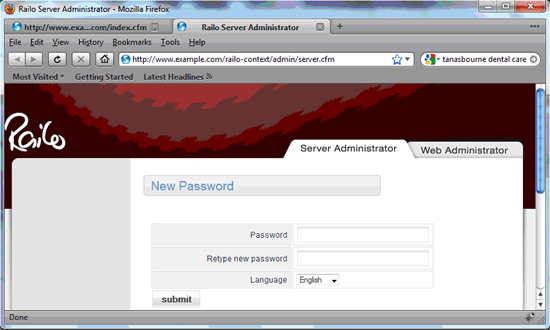 Please change to /opt/railo directory to modify the tomcat configure file server.xml so that the default apache web server root is /srv/www/htdocs, instead of the default tomcat webapps directory. 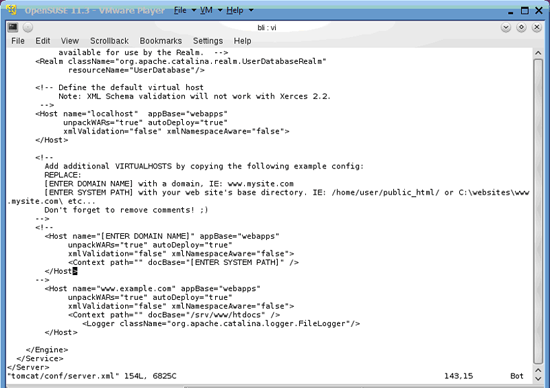 Make sure name matches ServerName, and docBase matches DocumentRoot in the apache virtual host configuration file: internal.conf. Thank you for creating this guide. I would like to add something to it if I may. Inside the server.xml file, when you have to add the Host tag, make sure you DO NOT add any slash at the end of the DocBase property, otherwise it will not work. I had days getting a blank page when I was invoking my .cfm page inside my virtual server and I did not know what was going on. Finally, I noticed I had a "/" at the end of the DocBase property value (and it made sense since it is a path after all). Once I removed that "/" everything worked perfectly! 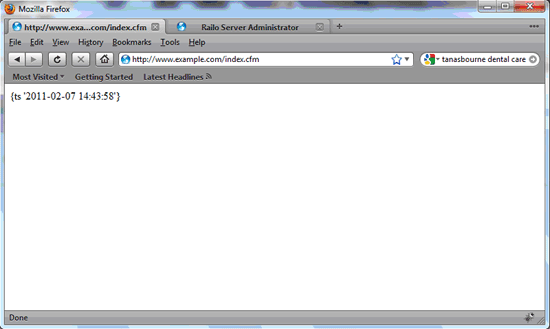 Now I have a great Linux Mint 10 server running with Railo and I cannot be more happy about it.